A realistic alternative to petrol or diesel cars. Easy to drive. Practical enough for a family. Range extended to 155 miles with optional 30kWh battery from September 2015. 24 kWh battery offers limited range. Interior relatively drab. Basic models go without an improved heater, so lose range in winter. Fundamentally unsuitable for high mileage users. Report of plug-in switch failing and costing a lot to replace. 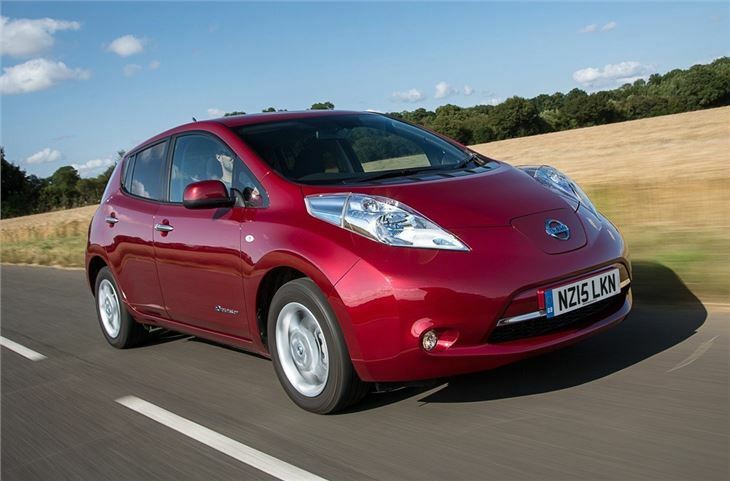 Since the Nissan Leaf was launched in 2010 a lot has happened in the world of EVs. Infrastructure is better, battery technology has improved and – more importantly – so has the choice of cars. There is now a much broader range of pure-electric and plug-in hybrid models to choose from, but the Leaf still manages to stack up. It is a pure electric vehicle, so there is no conventional engine to provide additional range when the batteries run dry. 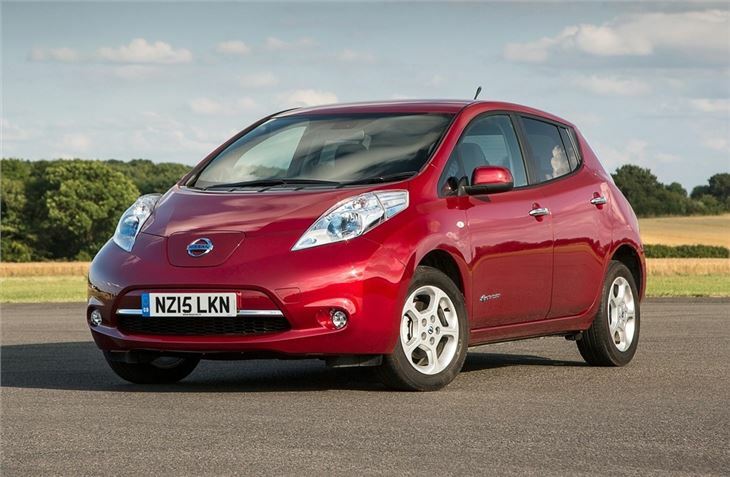 Fortunately the Leaf is – as EVs go – impressively endowed when it comes to range. Entry-grade models come with a 24kWh battery good for 124 miles, plus from late 2015 there is a 30kWh battery on offer with an increased range of 155 miles. 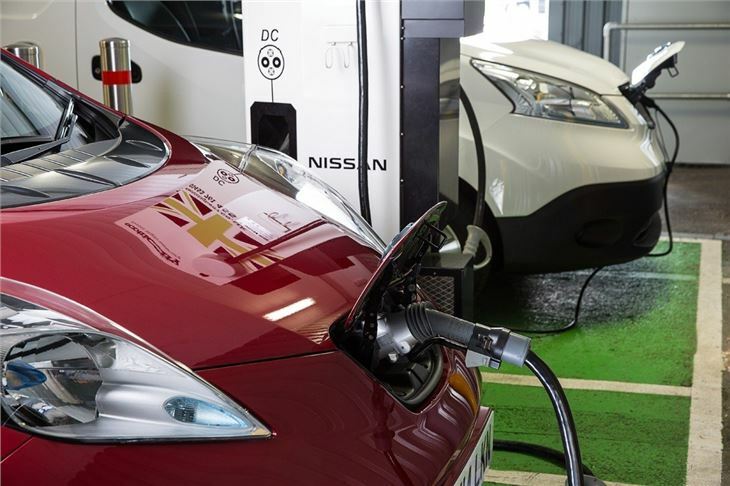 The amount of time it takes to charge depends on the type of charger used – a rapid charger, like those at motorways services, takes around 30 minutes to charge the battery from empty to 80 per cent. Other, less powerful public chargers will charge to 100 per cent in about four hours, or five and a half for the 30kWh battery. Charging from the mains takes up to 15 hours from empty. 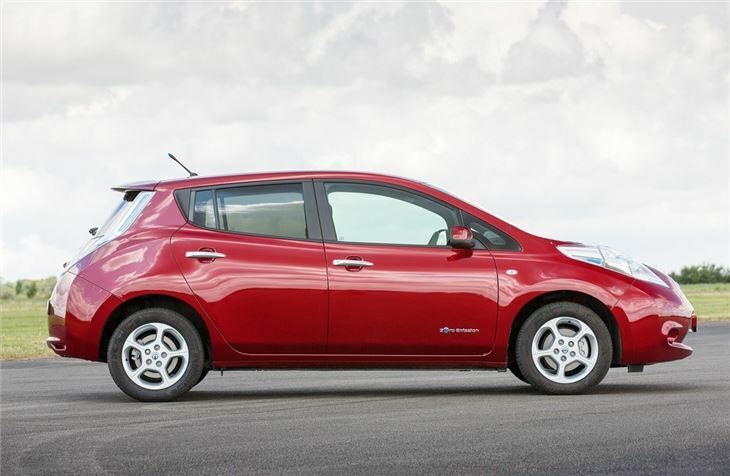 Aside from the electric power, there really isn’t much to differentiate a Leaf from any other family car. 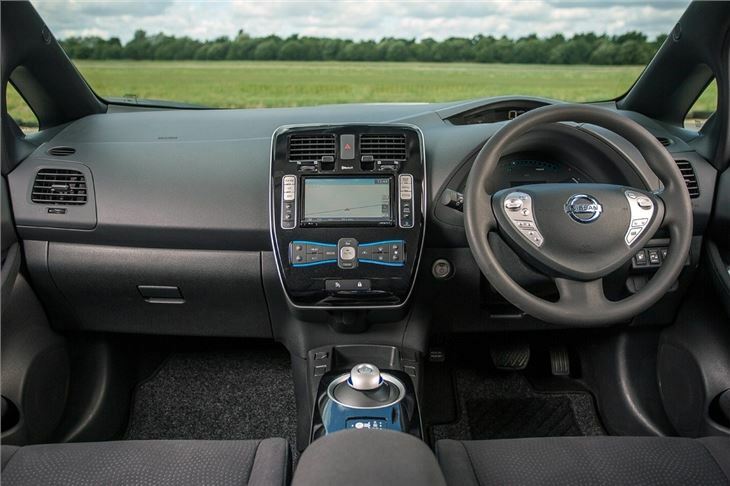 It’s spacious, comfortable, practical and easy to drive, with the benefit of an automatic transmission. The motor itself doesn’t make any noise, so around town the Leaf is very quiet. Wind and road noise becomes noticeable at high speeds, but it’s never distracting. The battery pack, which is the same size in 24kWh and 30kWh models, lives under the floor of the cabin, so it doesn’t eat into boot space. 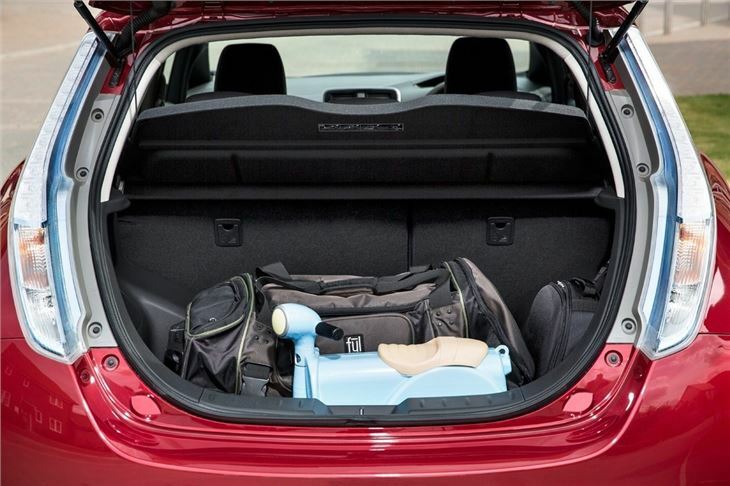 Maximum load volume is 370 litres, expandable to 720 litres with the rear seats folded. Rear legroom is perfectly adequate even for adults and there’s a good level of headroom. 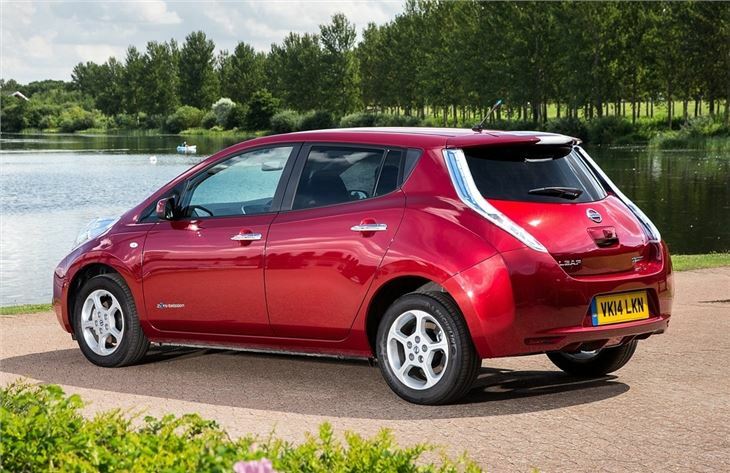 For those with a suitable place to charge it, the Nissan Leaf is one of the most convincing electric cars on sale. Plug-in hybrids might provide better peace of mind on long trips, but the Leaf is perfectly capable of coping with fairly long commutes. That said, there are more and more electric cars going on sale, so consider other options like the BMW i3 before settling on a Leaf.